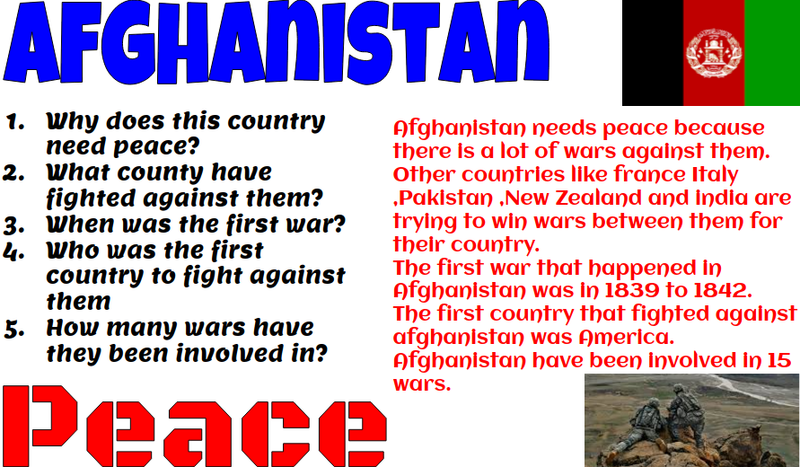 Kahlicia @ Tamaki Primary School: Investigate a country that need peace. Today room 10 had to investigate a country that needs peace.Then we had to write at least 4 or 5 questions and one description. WALT investigate a country that needs and find out why they need peace.